CEO Son was very apologetic about it (1.2GB limit) on twitter. What I don't get though is the throttling of the speeds if you use more than 1GB within 3 days, even though there is a 7GB cap (for the tethering option). How long will your speed be throttled for if you used 1 GB in 3 days but overall only used 2GB? Just to clarify... you mean if you use 1GB over a period of 3 days, or if you use over 1GB, the throttling will be applied after (or during) 3 days? Yes, 1 GB over a 3 day period. Does the 7gb cap count for only tethered data? If I have the tethering option but don't use it often and pass 7gb on my phone will it be throttled regardless of not using the tethered connection? No. if you get the tethering plan, you will only be allowed 7 GB, whether you tether or not is irrelevant. 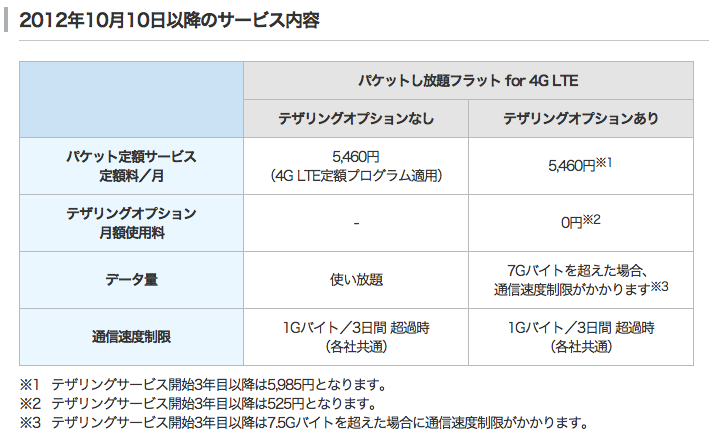 7GB is what Docomo and KDDI also do with LTE, so it is effectively the standard for Japan. apparently your speed will be throttled forever after.... I went over last week and I still don't have regular speed back.....sigh.